No Marrakech trip would complete without a visit to the Jamaa el Fna, the large central square in the medina quarter or old city. Classic movie buffs will instantly recognize the ancient plaza, bordered on one side by the souk, and on the other by leisurely hotels, gardens and cafes, as the place in Alfred Hitchcock 1956 masterpiece “The Man Who Knew Too Much” where French agent Bernard dies in James Stewart’s arms. At all hours of the night and day, the Jamaa el Fna bustles with activity, but the type of activity changes according to the hour. In the morning, food and drink stalls predominate; come evening, comestibles are replaced by exotic entertainers like snake charmers, dancing apes, fire eaters, magicians, dancing boys and story tellers. Hot food and drinks like tea are safe to partake in, but be careful of eating or imbibing anything that has been sitting out too long under the sun. 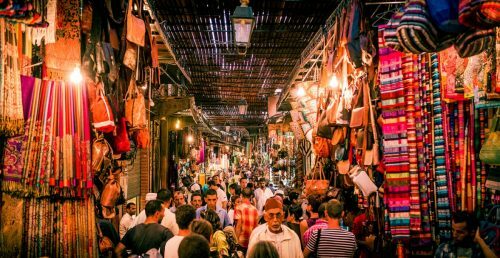 If you’ve ever seen photos of bustling marketplaces with a huge array of goods, spices, vibrant cloths, friendly people, and exquisite carpets, then you have an idea of what the Marrakech Souks are like. These bazaars are perfect for those who love to shop, collect trinkets and antiques. Also, it simply experience the local culture of the places they visit. When visiting the Marrakech Souks remember that it’s ok to politely haggle for a good deal — it’s something of a tradition. 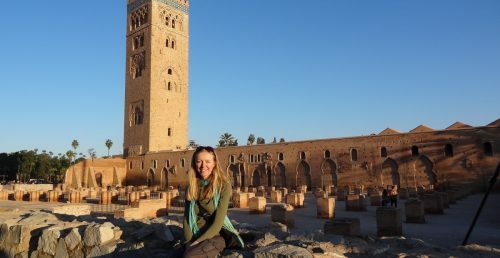 The mosques of Marrakech reveal the city’s rich cultural and religious history, as well as some of the most amazing architecture in the world. Koutoubia Mosque, also known as Kutubiyya Mosque. It is one of the historic mosques in Marrakech, as well as one of the city’s foremost landmarks. This mosque also has expansive, lush, beautiful gardens surrounding it that visitors can stroll and enjoy. Bahia Palace is another prominent landmark in Marrakech that is a popular place to visit for tourists and locals alike. It’s name means “brilliance”, which perfectly describes its beautiful architecture, inlaid ceilings, gorgeous tiling, and vibrant stained glass windows. Only 8 of Bahia Palace’s 150 rooms are open to the public. But, that is plenty to tour within a day. 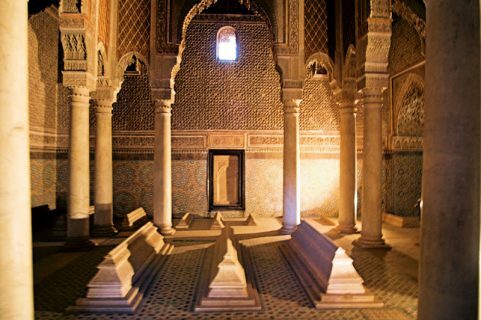 The Saadian Tombs were discovered in 1917, and since then have been a source of intrigue to all its visitors. The tile work of the building really stands out. It is an example of the elaborate style which defines many of Marrakech’s historic sites. The interior and outside grounds of the Saadian Tombs are the burial places of members of the royal Saadi Dynasty. This makes it a place of great cultural and significance. Along with these destinations. Marrakech has a host of restaurants that will allow you an authentic taste of Moroccan cuisine, served in a traditional manner. The food and drink found in Marrakech is flavorful and delicious. The city’s hotels and inns are also a way to experience Marrakech’s hospitality, customs, art, and decor. If you get the chance to visit the beautiful, vibrant city of Marrakech. Take plenty of time to enjoy the sights, sounds, flavors, and history that can only be found there. 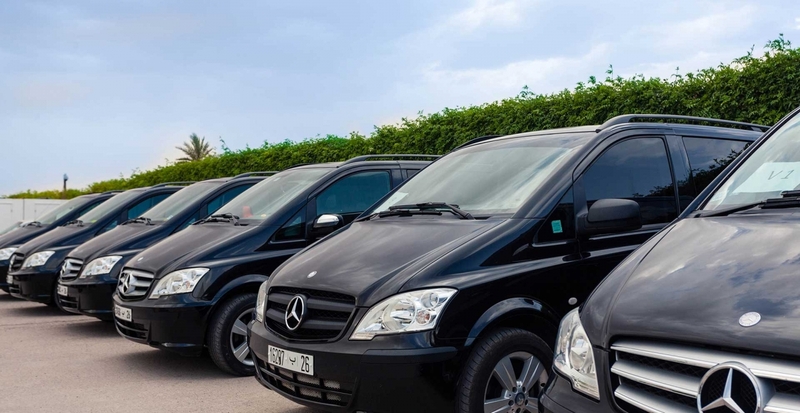 How to Find a Reliable Travel Agency in Morocco?